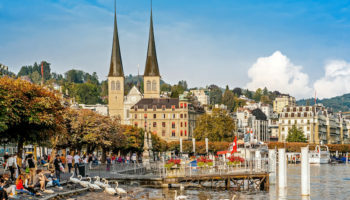 Famous for being situated on a vast lake of the same name (called Lac Léman in French), Geneva is the place to go in Switzerland for high-end shopping, high-end dining, and wandering around marveling at its old town and ornate monuments. With the lake and mountains as a backdrop to all this old world European charm, it’s a picturesque place to explore. To get around easily, there’s a central train station, a ferry service and a handy tram network. 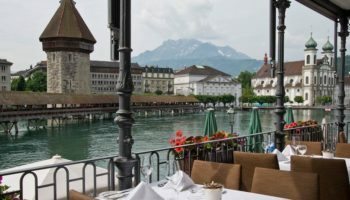 The high-end reputation of Geneva, however, doesn’t mean your stay in this city has to come with an equally upscale price tag. 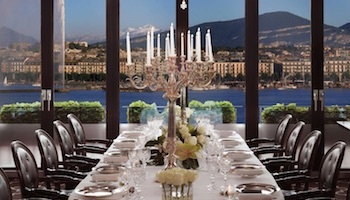 There are places to stay in Geneva that absolutely won’t break your bank. That said, if you want luxury in neoclassical buildings with fine dining options, then some of Geneva’s hotels can give you that. The rooms at Auteuil Manotel may be simple, but they still boast flatscreen TVs, tea and coffee making capabilities, and en-suite bathrooms; they’ve got everything you need. What’s more, the hotel features a gym and has a cozy bar with a fireplace. However, the best thing about this understated hotel is how conveniently placed it is. 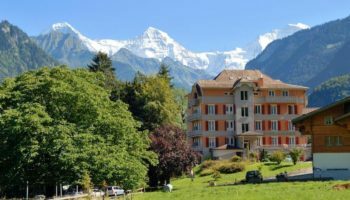 Situated just a couple of minutes’ walk from Geneva’s main train station, it’s practically next door to a tram stop too, making it easy to get around the city. Being located here also means having access to a lot of restaurants on your doorstep – plus a nearby supermarket for snacks. Hotel Montbrillant is another Geneva hotel that’s located very near to the city’s main train station, making this a convenient place to stay for those looking to arrive or leave Geneva by train. The nearby tram stops help guests get around the city as well. This central hotel is close to a choice of dining options, making it extra convenient. 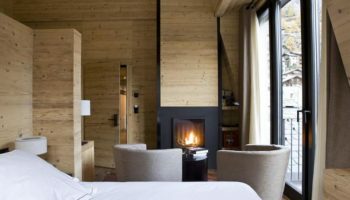 Hotel Montbrillant itself is set in a period building, with features like exposed beams kept intact, while adding modern amenities like flatscreen TVs and simple, contemporary furniture. Can’t decide what to eat? You can stay in and choose from an onsite bistro or French restaurant with its own bar. With sights like the iconic Jet d’Eau fountain around two kilometers away, Kipling Manotel boasts a great location. 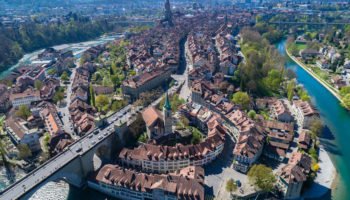 It’s easy to get around, as Geneva’s main train station is just over a five-minute stroll away and a tram stop is even closer. The outdoor swimming pool of Bains des Pâquis – used only in the warmer months – is a stone’s throw away too. 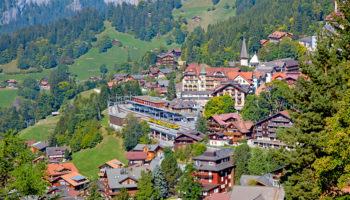 That aside, this hotel features warmly decorated rooms – a mix of modern and traditional – some of which come with balconies. You can even upgrade for more room and a seating area. You can opt for a breakfast buffet when you stay here, but with no restaurant on site, you’ll nevertheless be spoilt for choice with nearby eateries. With rooms decorated with contemporary furnishings, featuring coffeemakers and flatscreen TVs, Hotel Suisse is a laid-back, central place to stay in Geneva. There’s a lovely lounge to relax in after a day of sightseeing, and the option for a breakfast buffet. You’ll also get free ferry passes when staying here. 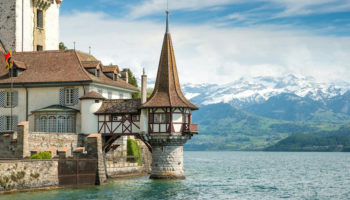 That means being able to get around Lake Geneva easily and reach places like the Natural History Museum and the Parc de la Grange across the water. 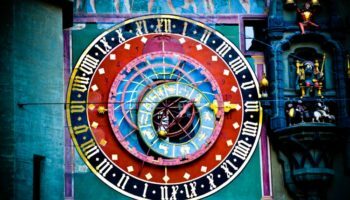 Plus, it’s just a five-minute walk to the main railway station, a stone’s throw from a choice of restaurants, and nearby other sights – like the neo-gothic 19th-century Basilica Notre-Dame. This hotel might not exactly be central, but it’s still in a good location. With many restaurants on the doorstep, you’ll never have to worry about getting hungry here – though there is a casual bar onsite for guests to enjoy a few evening drinks. 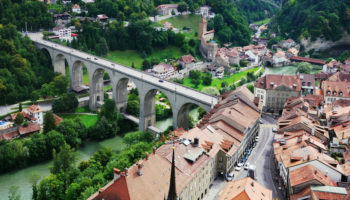 There’s also a tram stop – Servette – within walking distance, meaning you’ll be able to get to sights like the Palace of Nations and St. Pierre Cathedral with relative ease. Back at the hotel, the rooms are beautifully decorated with modern furnishings and a neutral color palette, making for a bright, minimalist place to stay in Geneva that’s all about contemporary chic. 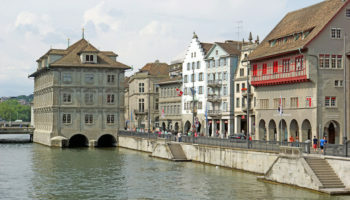 Restaurants, bars, a tram stop, Geneva’s main railway station, sights like the ornate Mausolee Brunswick, even the ferry terminal – all these are near to the polished Warwick Geneva. It’s in an excellent location for any traveler. The hotel itself is a great place to stay as well, boasting a restaurant, bar, complimentary fitness center passes, and free public transport passes. The rooms themselves are high-end and boast marble bathrooms. You can upgrade to a penthouse room for a private terrace, Nespresso machine, and even a free dry cleaning service! A large hotel set in a modern tower of a building, Mövenpick Hotel & Casino Geneva features simple but modern rooms that come with everything you need to enjoy your stay. Expect flatscreen TVs, coffeemakers, and even round the clock room service. But it’s the amenities here that really shine. There’s a Japanese restaurant, a bar and eatery, direct casino access (of course), and even a gym and a sauna located on the 14th floor. What’s more is that staying here means you’ll also be given free transport passes – and a complimentary shuttle to the airport, which is just a mere one kilometer from the hotel. An elegant, classic option for a hotel in Geneva, the Hotel Royal Manotel is set in a historic neoclassical building that really sets it aside as a grand place to stay. The rooms are equally classic, with polished, elegant features throughout. Amenities abound: there’s a Turkish spa, sauna, gym, two upscale French restaurants, and even a bar with a cozy fireplace. 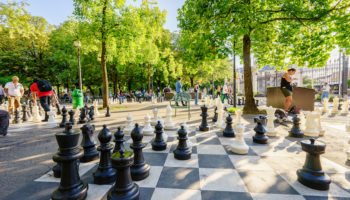 The cherry on top is the location; it’s just a five-minute stroll from here to Geneva’s main train station, two kilometers from the landmark Jet d’Eau fountain, right near a tram stop, and close to many bars and eateries besides.